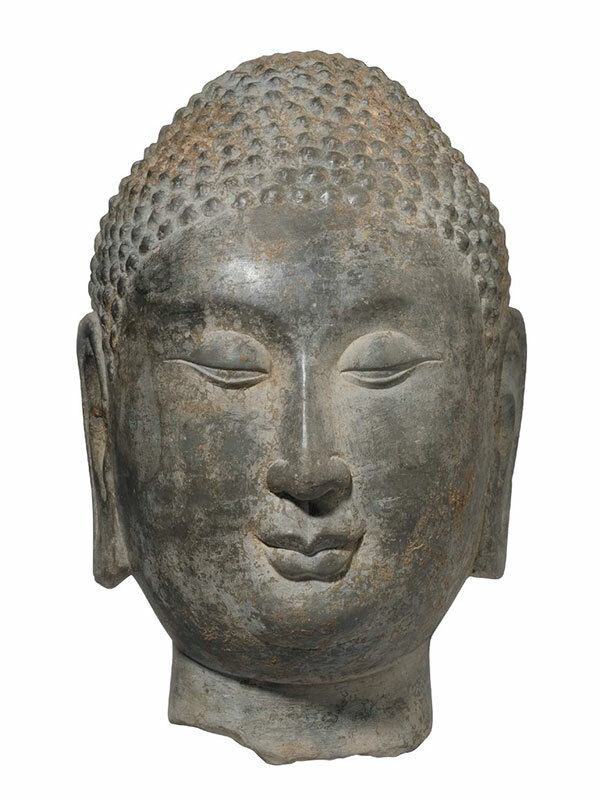 A limestone head of the Buddha, the full face with serene expression, downcast eyes with elongated eyelids underneath arched eyebrows, a slender and pointed nose, large pendulous ears and a mouth with cupid bow lips. 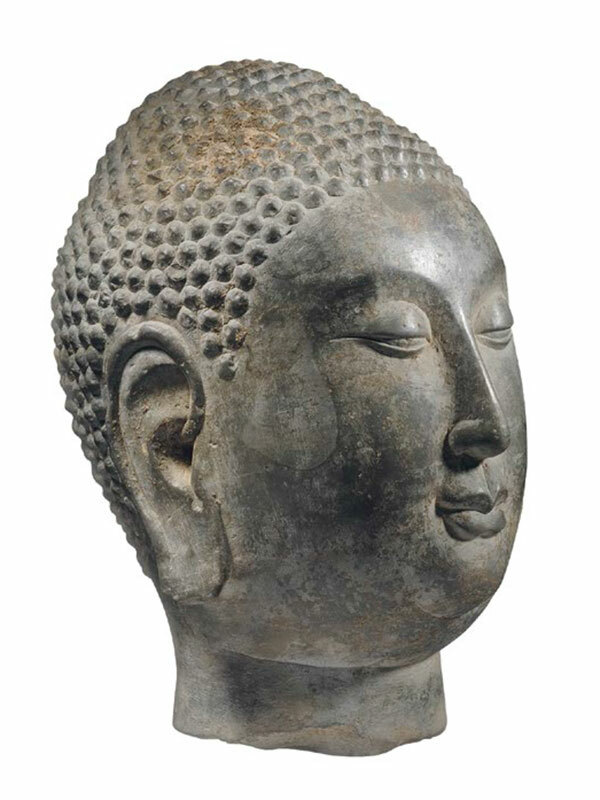 The hair is carved in neatly arranged rows of tightly rolled curls, rising over the smoothly raised ushnisha, which symbolises his attainment of reliance in the spiritual guide. The uniformly grey-coloured stone has considerable encrustations of hard earth.